A safety recall can provide vital information about your (1996-2015) individual Toyota Tacoma. You'll want to check out the following guide to see which free repairs you're entitled to receive at a local Toyota dealership. This article applies to the Toyota Tacoma (1996-2015). There are a few important differences between a manufactured-issued safety recall and a manufactured-issued technical service bulletin that you will want to know about it. First, a manufactured-issued safety recall is related specifically to a diagnosed safety issue that has the potential (great or small) to cause danger to the motorist and/or other motorists on the road, such as the case when leaks are present or a specified component is at risk for detachment while the vehicle is in motion. Technical service buttons, on the other hand, are a form of diagnosis, which offer vehicle owners (and mechanics) specific recommended procedures for repairing the affected vehicle. 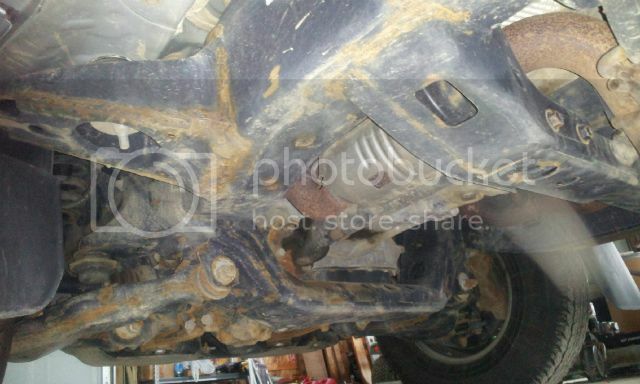 Excessive corrosion, which may contribute to holes within affected body panels and severe surface degradation to the frame of the vehicle, are both common in the Toyota Tacoma (and other Toyota sports utility vans and pickup trucks, as well). The crossmember is an especially likely spot for rust and holes. A recall has been issued and all affected (1995-2000) Toyota Tacoma owners will be contacted in writing, if they have not already. Figure 1. This is what frame rust on a Tacoma can look like. A small number of 2010 Toyota Tacoma trucks (8,000) have been recalled due to a problem with the front driveshaft. If not corrected, the vehicle could lose control, causing a collision. Cracks could also occur, causing the driveshaft to detach from the vehicle while it is in motion (or parked). Figure 2. 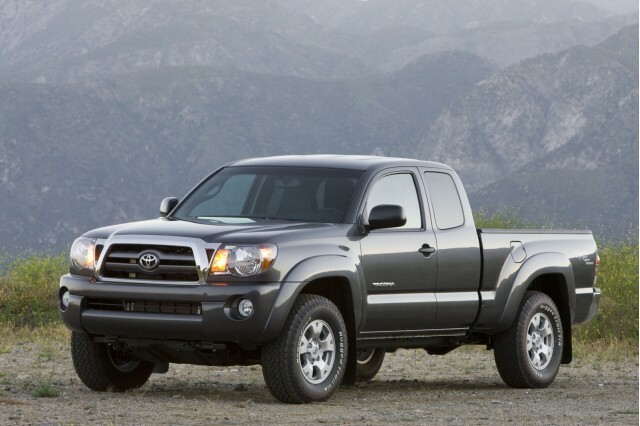 Some 2010 Tacoma trucks have been recalled. A recall was issued for Tacoma trucks loaded with a 3VZE 3.0 V6 engine. 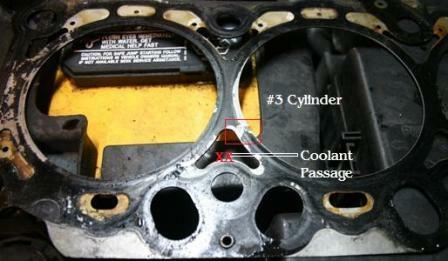 Owners of this vehicle have experienced (or are highly likely to experience) a blown head gasket. You'll need to contact your local Toyota dealership to arrange a service appointment. All repairs related to your faulty head gasket are covered under your recall and will be completed at absolutely no cost to you, as is the case with all recall repairs. Toyota will notify you in writing if you are eligible to participate. Figure 3. This is a generic damaged head gasket. Will I be contacted if my Tacoma is under a safety recall? Yes, Toyota will notify you in writing if your truck is associated with any safety recalls. How are safety recalls identified? Safety recalls are associated with specific vehicle identification numbers (VINs), and not a specific make, model, or vehicle year. How do I contact Toyota about a recall question? For additional recall information, contact Toyota at 1-800-331-4331. Do I have to obtain vehicle repairs at my local Toyota dealership? No, you may obtain vehicle repairs at any licensed mechanic's shop. Keep your receipts for reimbursement, however. Do I have a specific period of time to complete repairs on my recalled Tacoma? There is no deadline; however, it is always best to act quickly to ensure your continued safety. A floor mat recall was issued to address concerns over the mat potentially snagging the accelerator pedal, causing injury to the motorist and other motorists on the road if a collision ensues. A idler arm recall was issued over concerns that a crack could develop in the steering relay rod, which is a pivotal support for the steering linkage. If left uncorrected, a faulty idler arm could lead to a crash.